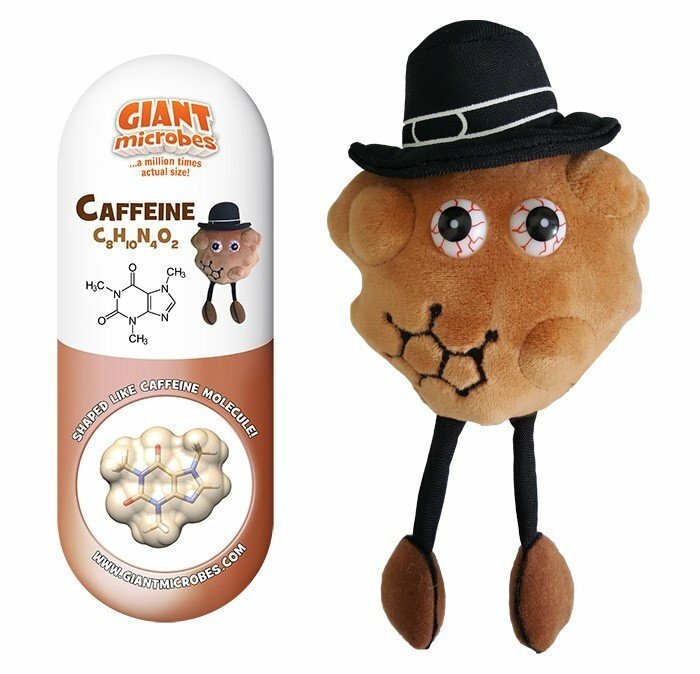 Our Caffeine is passionate about concocting stuff, just hip enough to have coffee bean feet and based on the shape of the actual caffeine molecule! Caffeine is a naturally occurring stimulant found in over 60 different plant species from cocoa and coffee beans to cola nuts and tea leaves. With billions of cups of coffee, tea and soda consumed each year, the world is wired on caffeine. Early civilizations discovered that plants containing caffeine had stimulating effects. Some considered these plants as sacred. Massive trade in tea and coffee over the centuries led to the global demand for caffeine. Whether it is harmful, helpful, or both is a subject of great debate. The benefits of caffeine include increased productivity and aid in memorizing and retrieving information. Caffeine may also reduce inflammation and help block the perception of pain. Some studies have shown that caffeine may slow memory decline in the elderly. The primary reason people consume caffeine is for its stimulating effects. On the negative side, caffeine can cause difficulty sleeping, jitters, increased heart rate, high blood pressure, anxiety and nausea. Many are willing to risk these negatives for increased wakefulness and alertness. 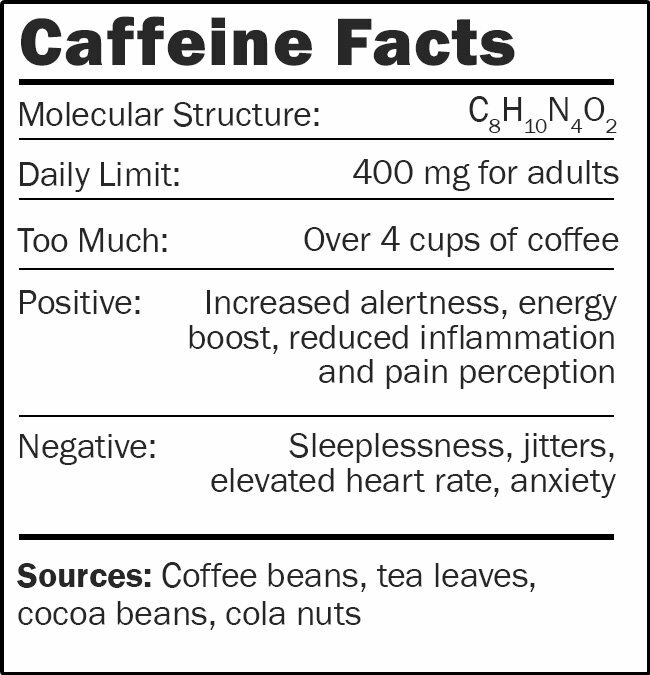 But try to limit yourself to 400 mg of caffeine per day, or about two to three 8 oz. cups of coffee. 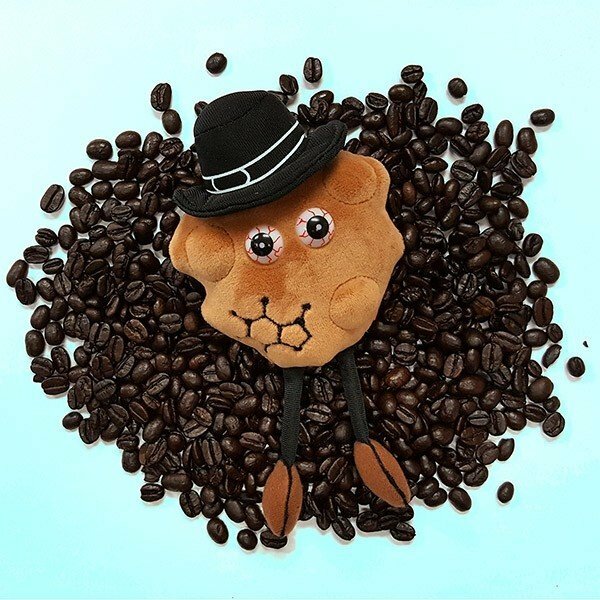 The caffeine molecule closely resembles a cellular molecule called adenosine, which signals the brain to slow the body down. 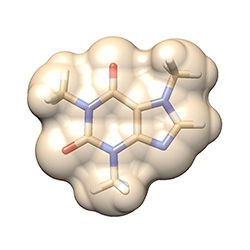 Adenosine binds to neural receptors and reduces neuron activity, dilating blood vessels and making you feel sleepy. Due to its similar structure, caffeine blocks the adenosine receptors, essentially tricking your brain into thinking it is adenosine. The result is that caffeine speeds up the nerve cells and causes the brain’s blood vessels to constrict. Caffeine can be addictive and its effects depend on your body size and your caffeine use. Daily coffee and tea drinkers have an altered neural chemistry. 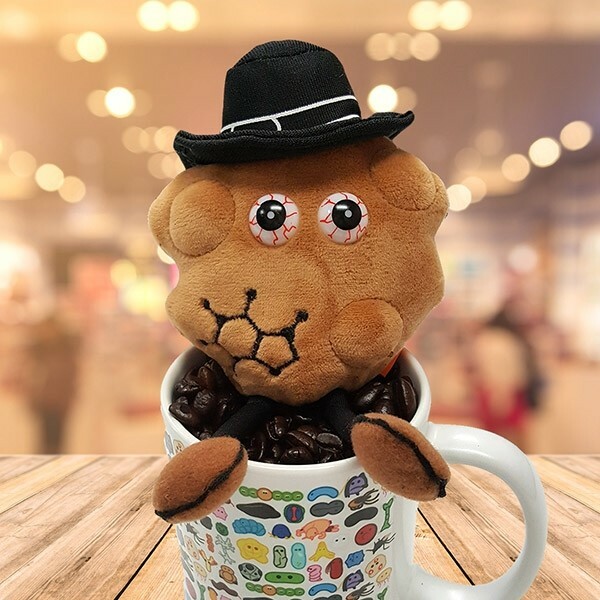 When you drink more caffeine your neurons grow more adenosine receptors, so it takes more caffeine to block the receptors and achieve the wakefulness effect. Because caffeine is addictive, if you cut back on it, you may go through withdrawal. It could take two weeks to kick the habit, which is the time it takes for the adenosine receptors to reset to baseline levels.